GERMAN and UK business leaders have agreed to meet on a regular basis to make sure that trade between the 2 countries works; whatever the outcome of Brexit. The announcement was made as Prime Minister Theresa May travels to Berlin to meet with Chancellor Angela Merkel. The decision to set up an on-going forum on British/German business needs was made after German and UK business leaders met for the 1st British/German Business Exchange Conference (BGBEC) in London last week to discuss future business relations. The conference was organised by the British Chamber of Commerce in Germany and was attended by senior British and German politicians, business executives from large German and British corporates as well as various media representatives. Blick Rothenberg partner Alex Altmann, who is also the Co-Chairman of the British Chamber of Commerce in Germany, initiated the 1st BGBEC in London, which will now see a series of meetings and regular conferences in the UK. Alex Altmann said:- "The UK's exit from EU will ultimately mean less political influence on various EU policies, including trade. The private sector will have to create new forums in all sorts of areas to continue and enhance the dialogue between the UK and the EU. The BGBEC creates that forum for participants in British/German trade and at the moment that is critical." Andreas Meyer-Schwickerath, Director of the British Chamber of Commerce in Germany, said:- "At the BGBEC in London last week we started an excellent new platform for British and German businesses to share their experiences and views in a dramatically changing business environment. The conference came up with some clear conclusions, which everyone involved in British/German trade should take seriously". 1. British/German trade relies heavily on undisrupted supply chains of goods between the UK and the EU. An exit from the EU Customs Union would not only result in disruptions to supply chains but could also significantly increase the costs for businesses. German companies with significant investments in the UK could be forced to make decisions they don't really want to make. The BGBEC concluded that the UK should under all circumstances remain a member of the EU Customs Union. 2. The EU Single Market for Goods consists of 500 million consumers and 21 million small and medium-sized enterprises (SMEs). Trade within the internal market is essential for the growth of enterprises and inward investment. The Single Market rules also provide for harmonised product specifications and standardisation principles. 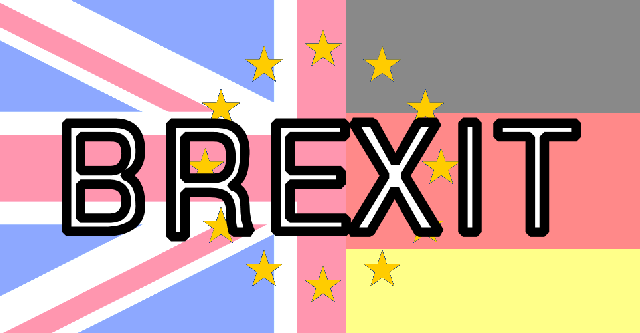 An exit from the EU Single Market for Goods would mean an additional burden for British and German traders to deal with and should be avoided. 3. The anticipated end to free movement for workers should not harm businesses. Freedom of movement for workers is 1 of the founding principles of the EU and is a fundamental right of workers. It entails the abolition of any discrimination based on nationality between workers of the Member States as regards employment, remuneration and other conditions of work and employment. An abrupt end to free movement for workers could not only mean a disruption for businesses to attract talented workforce for their operations, but could also create a risk for EU workers to lose some fundamental rights, which should be avoided. Altmann added:- "UK and German business leaders will keep in close contact over the coming days and weeks and the BGBEC will be held on a regular basis in the UK to offer businesses a new forum to share their experiences with British/German trade. It is essential that UK and German businesses make this work in everyone's interest and they will ensure that companies are regularly updated on the best way forward." CHILDREN'S TV star and dinosaur extraordinaire, Andy Day, dropped in to Liverpool 1, on Tuesday, 9 April 2019, to track down prehistoric creatures and hunt for dino-friendly food. The star was in town to try out Dinosaurs Unleashed, the retail destination's new app that uses augmented reality technology to give visitors the chance to hatch and care for their own dinosaurs. Running until June 2019, the free, interactive experience gives visitors the chance to nurture their new pre-historic characters by keeping them well fed and exercised, ready for the battle arena where players collect points to work their way up a special leader board. Andy, who has become the go-to expert for budding palaeontologists, said:- "I've absolutely loved my time in Liverpool trying out the app and discovering more about this fascinating subject in such an unusual way. It was fantastic to watch as the dinosaurs 'hatched' and moved about through Liverpool ONE, weaving between shoppers to 'Chavassic Park' to be fed and to battle with other characters for victory. As everyone knows, I'm incredibly passionate about all things dinosaur related, so it's great to see how the invasion is helping children to pick up facts and figures, get out in the fresh air and have lots of fun at the same time!" As part of his trip to Liverpool ONE, Andy joined a group of children on a dinosaur hunt, chasing Raptors and hiding from the mighty T Rex. Following a story telling session with Andy, the children; who had won their place as part of a competition with Liverpool ONE; were able to quiz him on his Jurassic know how and explore the app. Andy then treated visitors to a special performance of his much loved 'dino raps,' with families of all ages joining in the fun. Liverpool 1 has also enlisted an expert team of dinosaur educationalists to provide all the prehistoric facts and figures any would be palaeontologist needs. Teach Rex works with schoolchildren across the country bringing the pre-historic era to life in the classroom. National Museums Liverpool is also working with Liverpool 1 and has welcomed children to its Dinosaur Gallery at the World Museum, on William Brown Street, Liverpool, since 1987. Donna Howitt, Marketing Director at Liverpool ONE, said:- "Andy Day's visit to Liverpool 1 has been a huge success and the children had a great time exploring with him. Our dinosaur invasion is now well underway and the reaction so far has been amazing. Lots of families have joined us during the school holidays to enjoy a fun day out together and there's still plenty of time to get involved"
Dinosaurs Unleashed will run until 2 June 2019. For further information, visit:- Liverpool-ONE.Com.